Xiaomi officially announced that the xiaomi VR all-in-one super player is now available for booking. The 32GB version is priced at 1,799 yuan ($ 260) and the 64GB version will be sold at a price of $ 1,999 ($ ​​289). 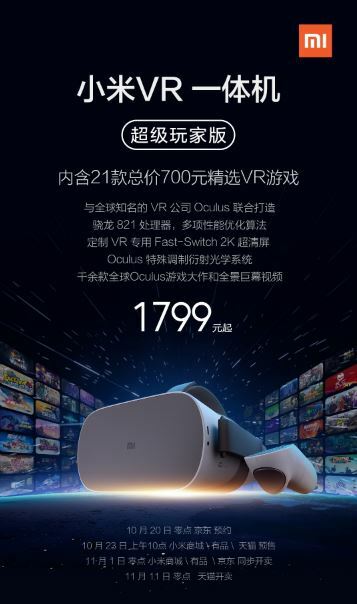 Both versions include a gift package with 21 selected VR games with a total value of 700 yuan ($ 101). 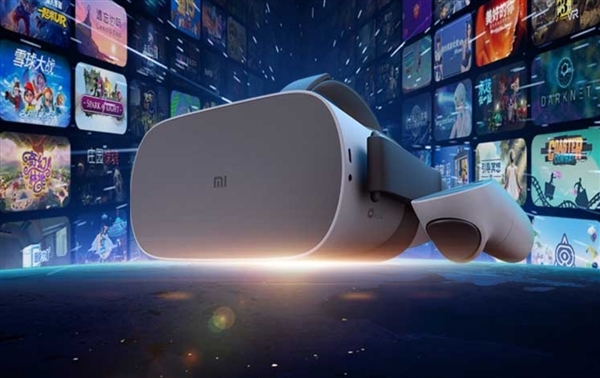 Xiaomi VR all-in-one super player boosts local and international attention, Tangmeo, vice president of Xiaomi's Chain of Custody. According to him, equipment and content represents the best level of VR mobile usage in today's world. The production of this machine involves Xiaomi and Oculus. He promises a rich and dynamic virtual reality world even without a smartphone connection. This device uses a super-clear 2K Fast-Switch display that can support up to 72Hz refresh rate. This will reduce the problem of shaking the image and give you a better visual experience. Most importantly, this device is equipped with a special Oculus modulation scattering system. The entire optical system and display system are used to reduce light stroke and improve viewing angles. The xiaomi VR all-in-one super player comes with the Snapdragon 821 processor. It also has some software optimization algorithms to achieve low dizziness and ultra-comfortable VR immersion. The front aluminum aluminum coating and powerful U-tube cooling system improve the performance of the processor. In addition, the xiaomi VR all-in-one super player displays face-to-face stickers that are custom-made for Asians. These sticks are suitable for nose / face, and easy to separate and clean. The whole body of the device weighs just 425 grams and is comfortable to wear.